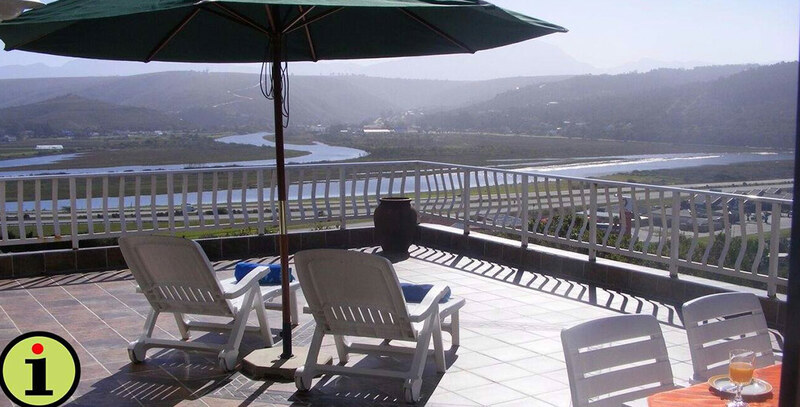 B&B or self-catering in Southern Cross, Great Brak River. 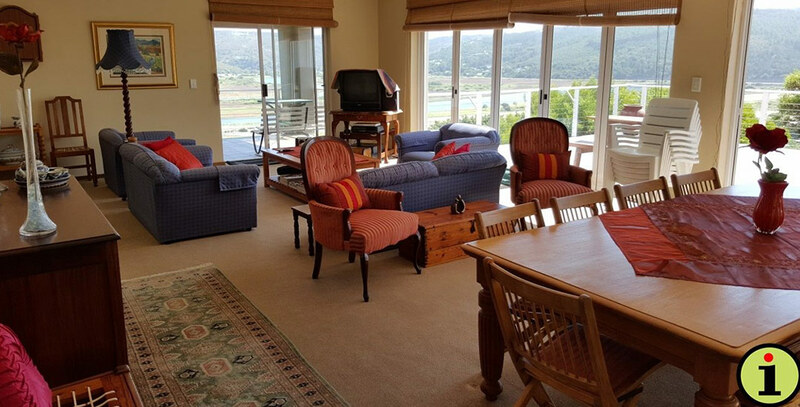 Just a five-minute walk to the beach, overlooking the spectacular Outeniqua mountains and the river. Wheelchair friendly, and safe parking is available for cyclists. Price range from R200- R450 per person depending on the type of accommodation, time of year and number of nights booked. 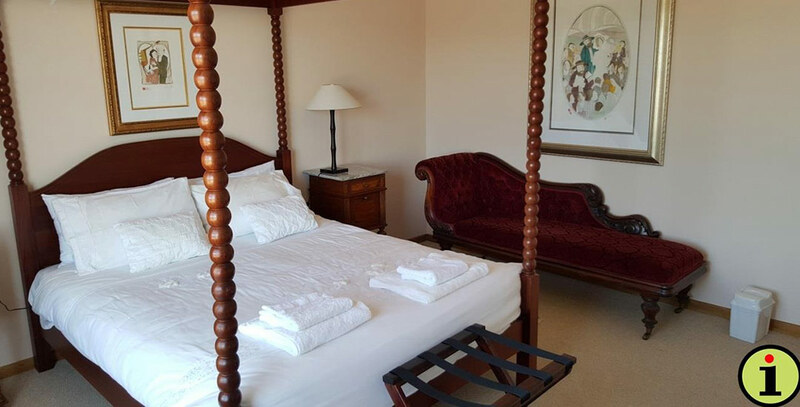 The B&B establishment also offers a large self-catering unit upstairs for eight, with barbecue facilities on the balcony for entertaining. Downstairs there are two separate units with own entrances. 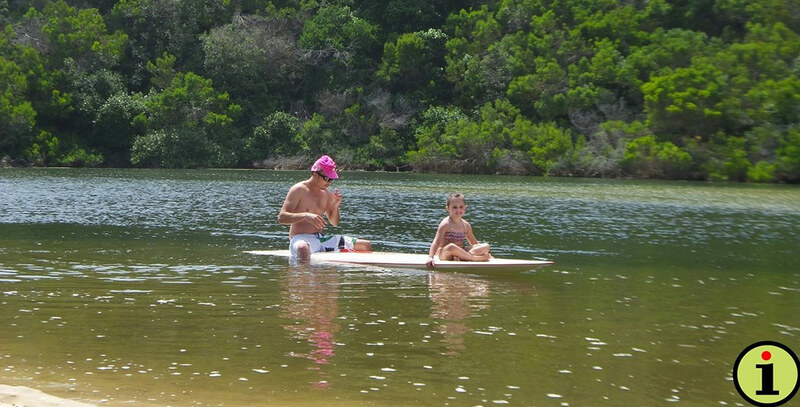 There is a self-catering family unit for two adults and two children, and a self-catering unit for two backpackers. There is also one double room that is wheelchair friendly. The downstairs self-catering unit for four and the double room are not available during peak season. View from the barbecue veranda upstairs and also from one of the two twin bedrooms. One of the double rooms (sea view). Living area with large patio doors opening onto the balcony. 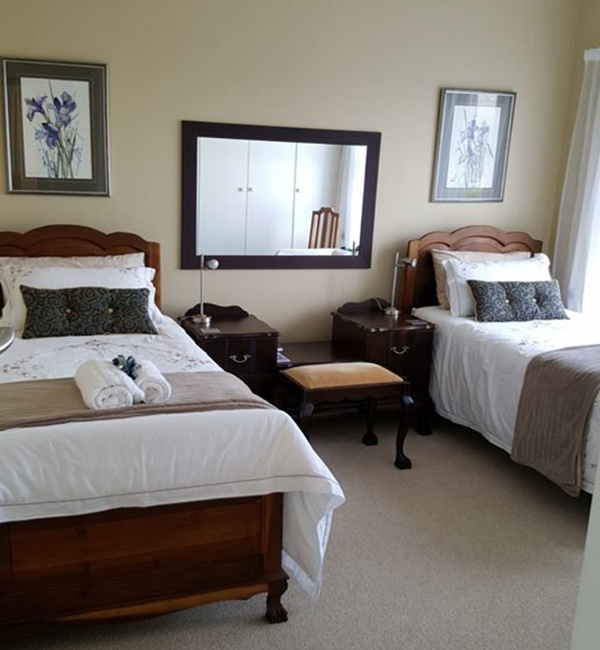 B&B or self-catering unit for eight people – this upstairs unit can only be booked as a whole during peak season. 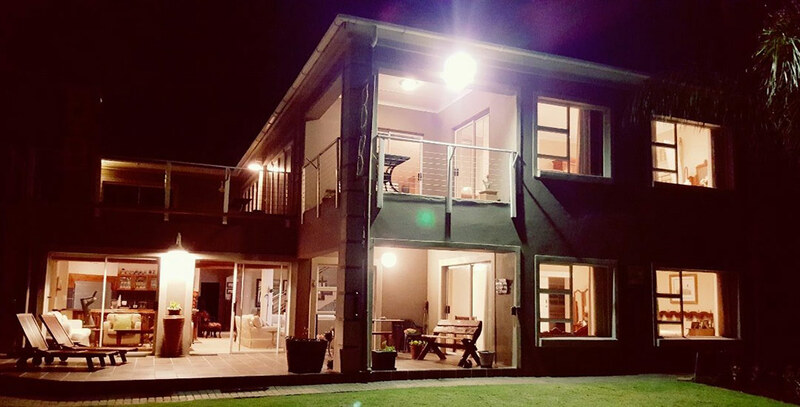 With own entrance, fully equipped kitchen and braai on the balcony; DSTV, DVD and WiFi facilities. View from one double bedroom, living area and two balconies. 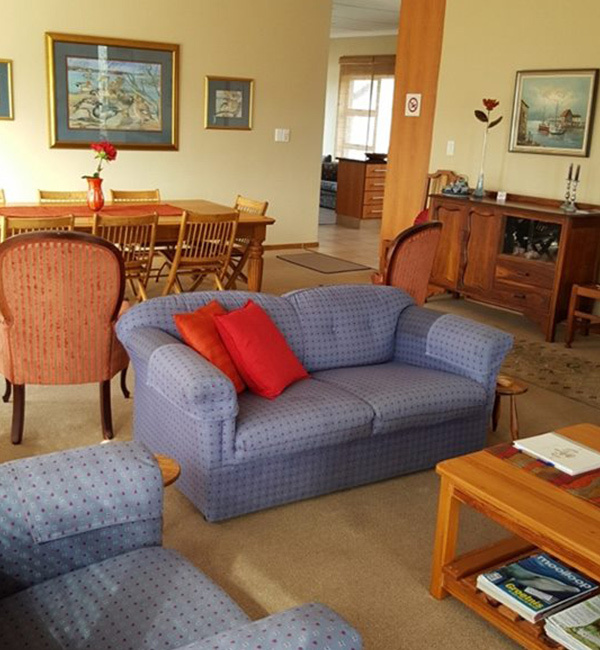 Living area and one of two twin rooms (view of Mossel Bay). 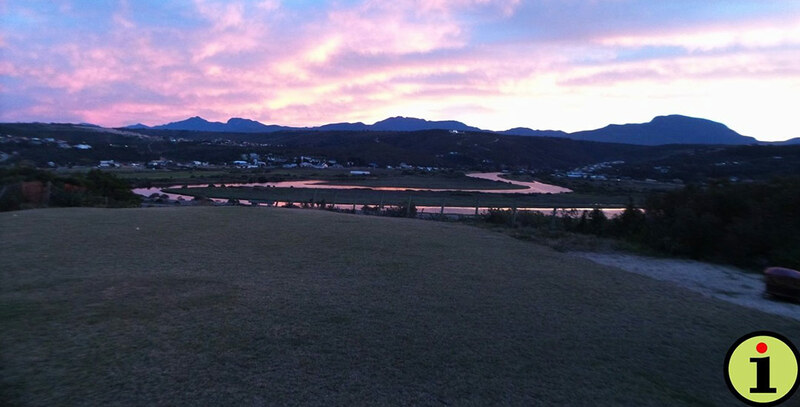 If you like the outdoors, Great Brak River and surrounds offer numerous opportunities to explore and enjoy.